And it’s all over. Our first Space: 1889 & Beyond competition closed yesterday. A big thank you to all who took part and sent your answers in. The question we asked was simple enough; “which world bookends series one?” and the answer was, of course, Luna (featured in both the opening and closing stories of series one)! We had many responses, some wrong and some right. But, as is the way of things, there could only be one winner. And with the help of Mark Michalowski, author of this month’s The Ghosts of Mercury, we picked out three names at random. The 1st Prize was a chance to be immortalised in literature by becoming a villain in the second series of Space: 1889 & Beyond, and receive a free copy of the new book, The Ghost of Mercury. And the winner of that first prize is… LISBETH LARIVIERE! The two runner-up prizes were free copies of The Ghosts of Mercury, and the winners of those are… GASPAR QUELHAS LIMA TAMEERIS and JASON HILTON. Read the wonderful reviews of the latest book, at Sci-Fi Bulletin. 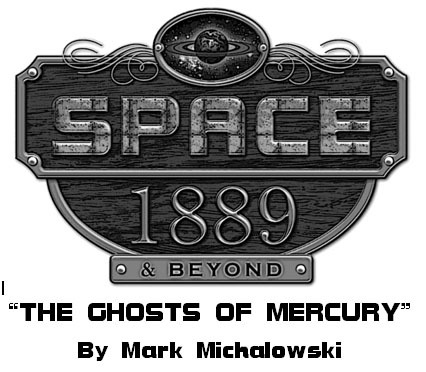 Mark Michalowski is BACK… with ghosts! 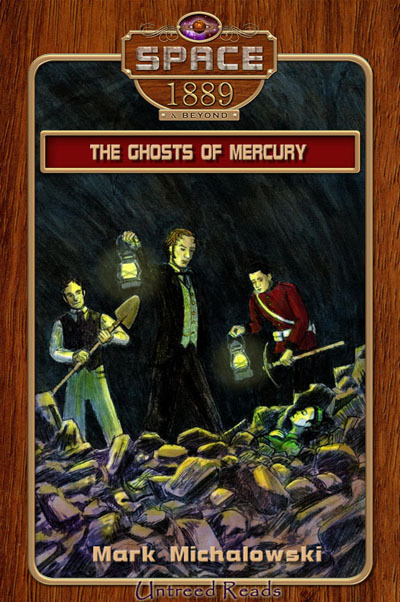 Thank you all for bearing with us, but now, at long last, we can announce that The Ghosts of Mercury is live! 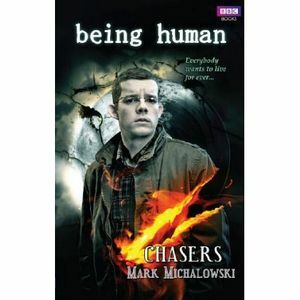 Born in 1963 in Chesterfield, Derbyshire, Mark Michalowski studied sciences at school with the bizarre idea of becoming a parapsychologist. He studied psychology at Sheffield University for two years and then hung about for a couple of years, having decided that his future lay in graphic design, and moved to Leeds. He worked as a graphic designer for three and a half years before deciding that his future lay in teaching, so he got a BEd at Leeds Metropolitan University before doing a year’s teaching – which convinced him that his future certainly didn’t lay in teaching. So, together with his then-partner, Mike, he started up Shout!, a gay paper for Yorkshire, which has been going steadily since 1995. His first paid-for piece of writing was a short story, Digging Up The Past in the anthology, The Dead Men Diaries in 2000. 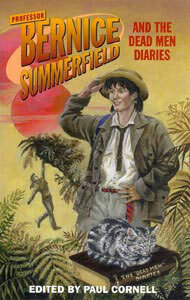 Since then he’s written several more novels, short stories, magazine article – and even a comic strip! 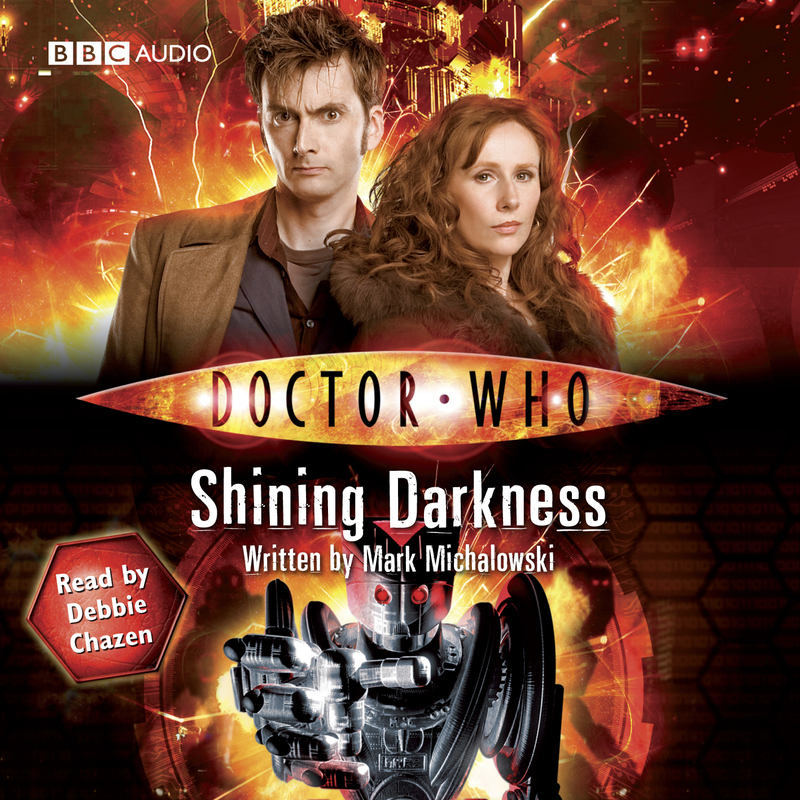 These works includes the likes of four Doctor Who novels, and a novel based on the hit-BBC TV series, Being Human. AF-A: What interested you in Space: 1889 & Beyond in the first place? MM: There was something fascinating about the mash-up between the Victorian era, with all its rampaging colonialism, repression and desire for exploration (and assimilation) – and space travel and futuristic technology that appealed to me. And once I started thinking about it, it seemed to fit perfectly with the philosophy of ‘The Big Bad’ in The Ghosts of Mercury. And what philosophy was that, you ask? Spoilers!!! 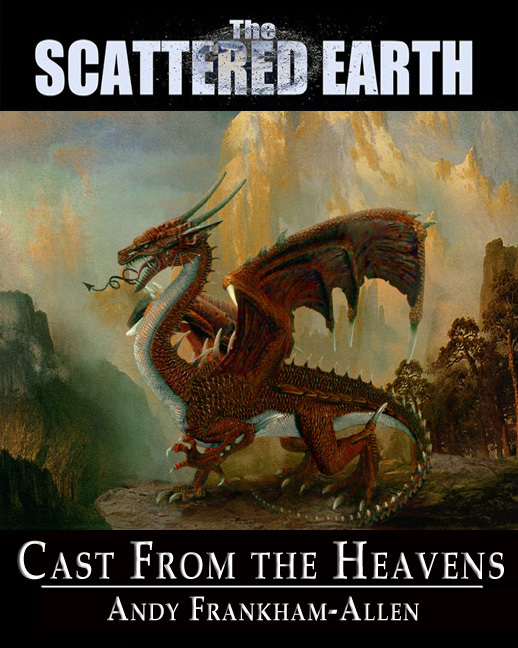 AF-A: What difficulties did you face in converting a Role-playing Game scenario into a fully-fledged prose novel? MM: To be honest, I’d never played the game, but I’d heard – and loved – the Space: 1889 audio adventures – they had a real sense of wonder and derring-do about them. And, for me, there’s always something more interesting about confronting a cast of characters with things utterly beyond their previous experiences, and having their worldviews challenged in a way that there isn’t with experienced space-travellers. AF-A: Who are your favourite characters? MM: All of them have their fascinating sides, but – and I’ll just take my modesty hat off for a moment and sit it on the desk beside me – I adore Arnaud Fontaine, a character that you asked me to create specifically for the series. In fact, I may be a tiny bit in love with him: he’s irreverent, cheeky and seems to be the perfect foil for Nathanial. AF-A: Your three favourite moments in The Ghosts of Mercury are…? MM: Three favourite moments, hmmm…? There are so many to choose from (he says, eyeing up his modesty hat) – not necessarily great big whopping moments, but lots of little conversations and moments. I love writing dialogue more than action scenes, and my favourites are quiet scenes where the characters show us a little bit more about themselves. The first scene between Annabelle and Nathanial, as they’re unpacking, seems to sum up the relationship between the two of them: a little bit sparky but with humour and real compassion for each other. They bicker like a married couple – almost like newlyweds on their honeymoon. Annabelle’s first proper encounter with a ghost – because it seems to sum up Annabelle’s pluckiness with her genuine surprise and fear. 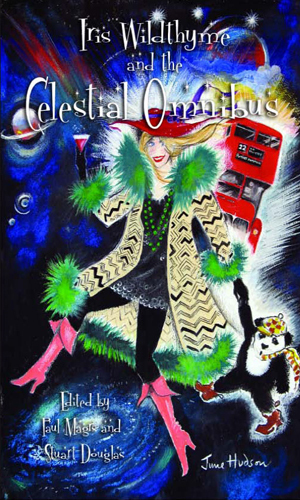 Our heroes’ encounter with Hermes – where I get to have lots and lots of philosophising and talking! Science fiction, for me, is a genre of ideas, rather than action, so to have a whole chapter which is little more than dialogue is lovely. And, of course, any scene between Nathanial and Arnaud! Ask me again in a few weeks and I’ll probably find different scenes to pick. AF-A: So, what can your fans expect next from you? MM: Next? Well I’m already working on a story for the next season of Space: 1889 & Beyond in which I get to pick up one or two threads from The Ghosts of Mercury and take them a little bit further. I’ve been sprucing up my website, too, and have been asked to pitch for a short story collection edited by Paul Magrs, which, as always, should be great fun. There was a sudden, sharp knock at the door. Nathanial looked from one colonel to the other. There was a moment of awkwardness before the ghost colonel suddenly caught on. “I do hope so, Colonel,” said Nathanial. And then, without a sound, the ghost simply winked out of existence. There was another, firmer, knock. “Come in,” said Nathanial, and the door was opened by Iris McConnon, looking very pale and shaken. Shawbridge and Nathanial followed Iris out into the gloom; in the distance, they could hear much muttering and a few astonished cries. “They’re everywhere,” Iris said as they reached the main square of Princess Christiana Station. Little huddles of people were standing around, pointing and crying. Some of them were shouting, their fists raised. And around each little group, there were ghosts. Some of them were as solid and concrete as Shawbridge’s own ghost had been earlier, but most of them were hazy phantoms, displaying the same flickering and shifting that had been reported in earlier sightings. Mercury: a planet of two faces – one side cloaked in eternal darkness, the other blistered by eternal sunshine. And balanced between the two is the World River, encircling the globe. 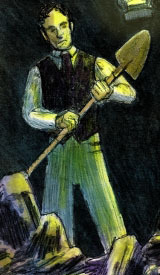 Professor Nathanial Stone and his ward, Annabelle Somerset visit Mercury for what they imagine will be a pleasant trip to visit Annabelle’s uncle. But tragic death precedes them – a death that provokes a chain of mysterious and terrifying events that challenge Nathanial and Annabelle’s long-held beliefs. Before long, they – with the assistance of French geologist, Arnaud Fontaine – discover something ancient and powerful that has designs on humanity. 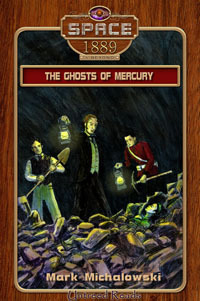 The Ghosts of Mercury © 2011 Mark Michalowski and Untreed Reads Publishing. Space: 1889 & Beyond © & ™ 1988/2011 Frank Chadwick.